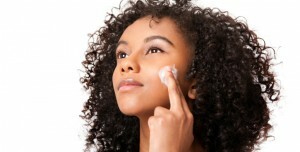 When you visit your local pharmacy to look for an effective acne treatment, natural remedies are often hard to find. Most of the products you will see are made of synthetic (manmade) materials, which can work but are quite cheap. 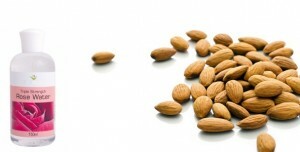 The question you should be asking yourself is whether or not they are safe for your skin and overall health. Due to the fact that synthetic acne treatments can cause irritation and are unhealthy for your health, we always recommend that people try natural remedies first to conquer their acne. The reason for that is natural solutions work better and with little to no side effects, since they are made from nature and are created to work well with the body. 1. Exfoliate your skin with an organic sugar scrub. Using an organic sugar scrub to remove dead skin cells from your face allows new rejuvenated skin to surface leaving your skin looking glowing and radiant. Exfoliating will also gently remove impurities like acne-causing bacteria and excess oil from your pores, allowing your pores to breathe and minimizing acne breakouts. Simply combine a bit of organic cane or brown sugar with warm clean water and exfoliate your clean skin by massaging the scrub into your skin with your fingertips in a circular motion for 2 minutes. Then rinse off with warm water, gently pat dry with a soft hand towel, and apply an oil-free moisturizer to retain moisture. 2. Apply organic honey on your face as a face mask. 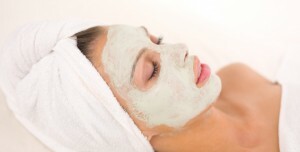 Facial masks are often expensive, yet fail to deliver when it comes to dealing with your acne problems. This is not the case with honey. A honey facial mask applied to your face at least once a week will minimize acne breakouts on your skin. Organic raw honey is antibacterial and antimicrobial so it will gently fight away acne-causing bacteria and infections from your skin. Then rinse off with warm water, pat dry with a soft hand towel, and apply an oil-free moisturizer to balance the pH levels of your skin. These are just two of the thousands of natural ways to combat acne. They are easy to use, inexpensive to buy, and will not irritate or cause inflammation on your skin, as long as you are not allergic to any of the ingredients listed above. Try one of the treatments today – You will thank us for it. And so will your skin!